The birth of Saint West was a big story, and the announcement of his name was a bigger one, but apparently Kim Kardashian thinks it would have made even more headlines if not for one tiny little obstruction: the disappearance of Kristin Cavallari’s brother, Michael. 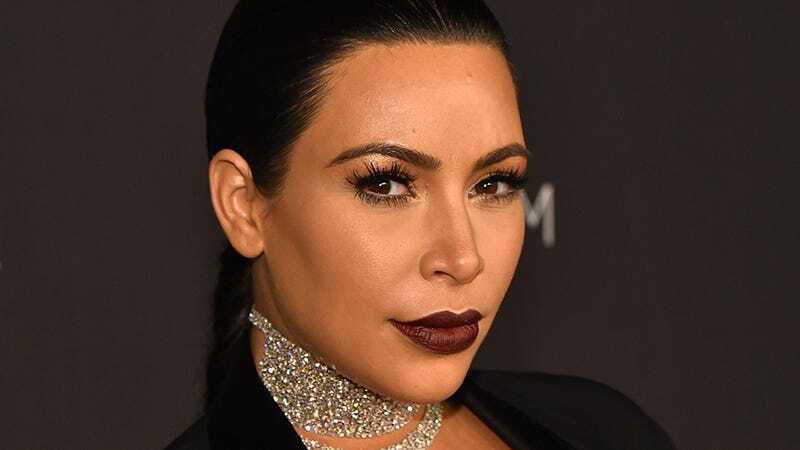 However, the KUWTK star was not going to let the hunt for Michael Cavallari steal her thunder for too long, and she waited until coverage of his shocking disappearance was at its peak before dropping the bomb that the holy one had been named Saint. Radar coasts through blatant lie after blatant lie thanks to an occasional factual scoop, so it’s often tough to sift through the garbage and figure out what to believe. Take this Kim/Michael story, for example. I don’t think I believe it, and most (nearly all?) of me doesn’t, but what if? My goodness, what if. Mickey Madden, one of the dudes from Maroon 5 who isn’t Adam Levine, revealed to Page Six that he doesn’t even watch The Voice—NBC’s Emmy-winning show on which Levine stars. “I actually don’t [watch it],” he told us at a Surf Lodge pop-up in Miami over the weekend. “But apparently . . . I saw the one [contestant] . . . I can’t remember his name,” he valiantly tried to recall it, saying “but I think Adam’s got a really good singer” on his current team. Yes yes, I saw the one guy, whoever he is. Yes. Adam good. Adam very good. Yes. Imagine Adam Levine leaving you an angry voicemail. “Hey hey hey, why don’t you wattttttch my show,” he scream-sings in that weird nasally falsetto of his. I’d throw my phone into the street and start running. KHLOE DIDN’T ACTUALLY BAKE THEM.